If you are NOT your company's primary contact for the Career Fair, please provide his/her name, phone number, and email. Does your booth require electricity or an outlet? If YES, please note this is an additional charge not covered by PSE. The rate is $250.00. You will be invoiced for this before the convention. We can provide your booth with a small sign detailing your company's specific hiring needs. Please check all that apply for your small sign. If you do not need a sign, please only check "No Sign Needed". Are you or anyone on your team that will be at the convention interested in reserving a semi-private space to conduct interviews with students in Jacksonville? We will have space available either Thursday, March 28th or Friday, March 29th, afternoon if you would like to reserve an area. This will not be a room but a quiet, semi-private space around the hotel meeting space we have reserved. How many boxes will your company be shipping to the Hyatt Regency Jacksonville Hotel? (Please see the PARTNER CONVENTION PAGE on the PSE Website for detailed shipping instructions and labeling your boxes properly. 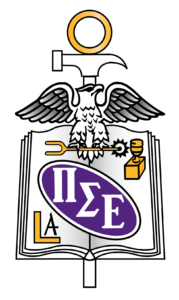 Founders of Pi Sigma Epsilon are great examples of visionary leaders.